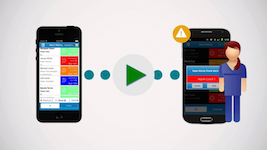 Up to 99% of healthcare device alarms do not require clinical intervention. Clinicians are bombarded by alarms on a daily basis, most of which do not require action, causing desensitization to alarms, which potentially puts patient safety at risk. In January 2014, the Joint Commission launched a new National Patient Safety Goal on alarm management, requiring hospitals to make alarm safety a priority and establish policies to address alarm fatigue. Read how early innovators like Johns Hopkins Hospital and Boston Medical launched innovative programs to tackle alarm management and mitigate alarm fatigue. These pioneering programs have proven that effective alarm management strategies can make a difference to the both the patient experience and staff effectiveness. 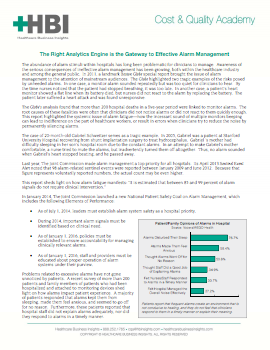 Get this report to learn how the right analytics engine can help your institution get on the path to effectively manage alarms. Learn how Vocera Alarm Management & Analytics enables hospitals to reduce alarm fatigue and improve patient safety. For more information about Vocera solutions, click to complete the form or call 888-9VOCERA.